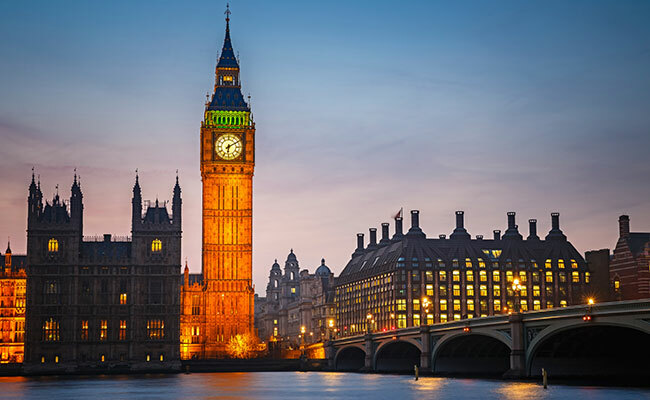 London: Whoever ends up becoming Britain's new prime minister faces a daunting five years in office, with the negotiations of the country's withdrawal from the European Union topping the list of priorities. If no party wins an overall majority as indicated in Thursday's exit poll, there will be little time to form a new government and get a negotiating stance up and running. The state opening of parliament by Queen Elizabeth II is set for June 19, when she will read out her new government's programme. Its total public debt was &#163;1.7 trillion in April, or 86.0 percent of gross domestic product (GDP). Growth stands at 1.8 percent and inflation at 2.6 percent. The Conservatives pledged to eliminate the deficit and return Britain to profit by the "middle of the next decade", meaning further years of austerity. Scotland's governing Nationalists are pushing for a second independence referendum once the terms of the final Brexit deal start to become clear in late 2018 or early 2019. Backed up by the Greens, the separatists have the Scottish parliament's support to ask the British government for the formal powers to start the process. One of the most delicate parts of the Brexit negotiations will be the place of Northern Ireland within the UK, and relations with the Republic of Ireland, which will be the kingdom's only land border with the EU. The likelihood of the UK being out of the EU single market, customs union and the EU's free movement area could mean a return of a "hard border" which is fiercely opposed by local residents.